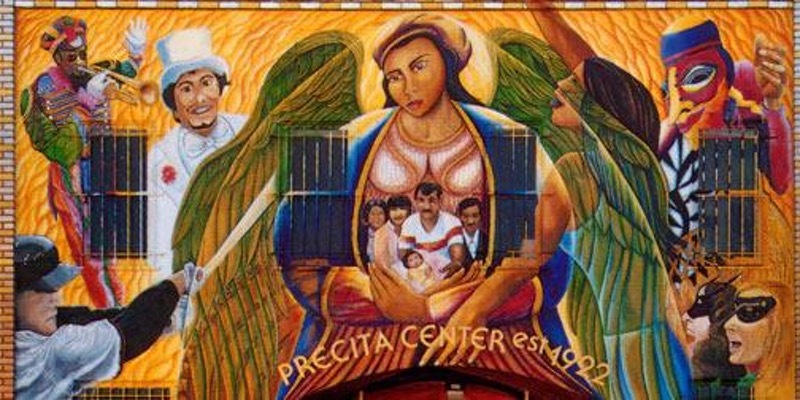 Precita Eyes Mural Arts Center, a 40-year-old arts organization based in the Mission District, is celebrating its history and the culture of street art with a film festival exploring the mural art from. From sociopolitical commentary to biographical fiction, the five films in the program explore the stories and motivations behind murals. The festival will be held at the Grand Theater, now the arts and technology space Gray Area, at 2665 Mission St. on June 17 from 3 p.m. to 11 p.m. Tickets are available here. A NEW COLOR: THE ART OF BEING EDYTHE BOONE (2015). Long before “Black Lives Matter” became a rallying cry, Edythe Boone embodied that truth as an artist and educator. “A New Color” illuminates timely social issues and shows how the work of one resilient woman reverberates throughout a community. : This short documentary examines the politics of place, community resistance, counter-history, and expressions of identity through the early community mural arts movement in San Francisco’s Mission District. MELE MURALS (2016): A story about the transformative power of art through the unlikely union of graffiti and ancient Hawaiian culture.